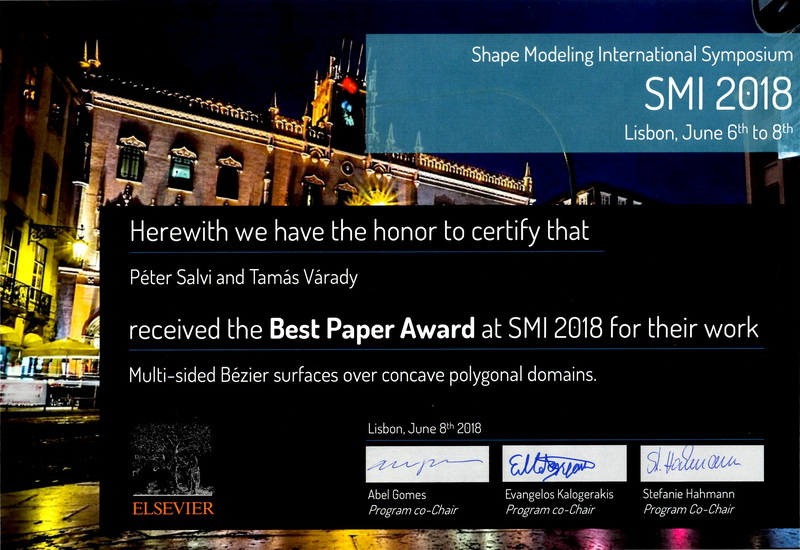 Our colleagues received the Best Paper Award at the SMI2018 conference. Congratulations! Péter Salvi and Tamás Várady. Milti-sided Bézier surfaces over concave polygonal domains.